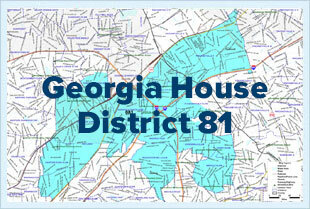 Atlanta, GA - State Representative Scott Holcomb (D-Atlanta) called on Chris Boedeker, the Republican candidate for State Representative, to stop using illegal robo-calls to harass residents of the 81st House District. "Laws around robo-calls were put in place to protect voters and increase transparency. But Chris Boedeker's string of dishonest, illegal robo-calls shows he has no respect for the people of the 81st District. As the Representative of this District, I'm not going to stand for this." Federal law requires prerecorded robo-calls to clearly identify at the beginning of the message the identity of the caller. Last night, Chris Boedeker issued a robo-call from phone number 949-213-8888 that failed to identify his campaign. In addition, Boedeker's campaign violated the law by not providing a phone number either during or after the prerecorded message. In fact, if you dial the phone number, it states that the number has been changed. This is what happens after each and every illegal Boedeker robo-call. For example, on the evening of October 8, 2012, Boedeker placed a robo-call from 978-570-2336 that appeared as "UNKNOWN" on caller ID, did not include a phone number during or after the call, and then the phone number used to place the call was immediately disconnected after the robo-call. All of these actions are violations of federal law. "Chris Boedeker has a history of violating the federal law and each and every call he has made to the voters in District 81 has been illegal. These are serious violations and penalties can be up to $16,000 per violation," said Holcomb. "The Enforcement Division at Federal Communications Commission has been informed about Mr. Boedeker's illegal robo-calls." "If re-elected, I will file legislation in Georgia to strengthen our state's laws and create a political do-not-call list," announced Holcomb. "Voters should have the right to not be harassed in their own homes. And companies that place these calls should have to post bonds with the Public Service Commission to cover potential claims." Information from the Federal Communications Commission (FCC) on robo-calls can be found at http://transition.fcc.gov/Daily_Releases/Daily_Business/2012/db0911/DA-12-1476A1.pdf. If you received an illegal robo-call from Chris Boedeker, you can file a complaint online at http://www.fcc.gov/complaints or call 1-888-CALLFCC. You will need the number used by the Boedeker campaign as well as the time of the call. The numbers for the last two calls will be the same as those in this release.